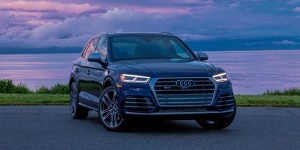 Powered by a 4-cylinder turbo engine optionally driving all wheels, the Audi Q3 offers decent performance and a sure-footed handling. 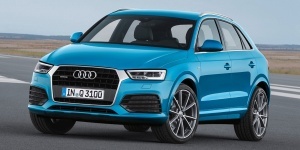 It seats five in a well-equipped, but relatively small cabin. 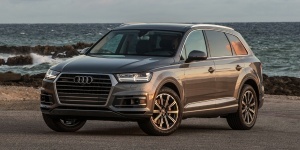 The Audi Q7 comes powered by 4-cyl. turbo and supercharged V6 engines and offers seating for up to seven in a spacious and well-built cabin. Handling, towing, and off-road capabilities are excellent.